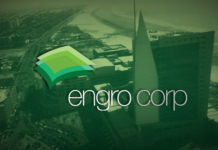 In a move, which will enable its expansion into a much wider Liquified Natural Gas (LNG) market independent of the government, Pakistan’s largest private sector conglomerate, Engro Corporation has partnered with Gunvor, Shell and Fatima Group to set up Pakistan’s first merchant terminal for its Regasified-LNG business close to Karachi’s Port Qasim. “We are putting up a joint venture, to set up a new terminal. We’ll import the gas ourselves, find customers on our own and manage the whole cycle ourselves,” said CEO of Engro Elengy Pakistan Terminal, Jahangir Piracha during the course of a recent interview with Profit. “A purely merchant terminal, it will have nothing to do with the Pakistan government,” added he. He was alluding to this being the country’s third LNG regasification and storage project, with the distinction of being the first merchant terminal. Currently, the state-owned Pakistan LNG Terminals Limited (PLTL) is responsible for import, sale, and distribution of LNG in the country while Engro Elengy Pakistan Terminal, a subsidiary of Engro Corp. and Pakistan GasPort Consortium (PGPC) Limited handle storage and regasification of the commodity. Worth $500 million, the integrated project includes the hybrid ship – or floating storage regasification unit (FSRU) vessel – alone having a price tag of $300 million. Partnering Engro are two major global companies and a sizable local entity: Shell, the world’s largest gas company that accounts for 60% of the world’s LNG production; Gunvor, one of the largest traders of LNG; and local industrial giant Fatima Group. The shareholding pattern has been finalized and the project is in advance stages, said Piracha, without sharing further details. “When there are four partners, none gets a major stake,” said the CEO, responding to Engro’s equity. “It takes about 12 to 14 months to set up an LNG terminal, but if you add project development time, it takes about three years,” he said, doing away with another query about its commencement date. Pakistan started importing LNG in 2015 when Engro set up the country’s first FSRU. According to a September 2017 report, the government has invested $8 billion on a transmission line, terminals and LNG-fired power plants to deal with chronic power crisis and gas shortage in the energy-starved nation. Last year, the government decided to move away from oil-fired power plants, two-and-a-half times more expensive compared to the gas-based power plants yet constituting more than 20% of the country’s power generation. Owing to this shift in the energy mix, LNG now accounts for a fifth of Pakistan’s total power production. With the infrastructure in place and more projects in the pipeline, Pakistan has become a major buyer of imported gas in Southeast Asia’s booming LNG market – now 70% of the world’s demand, and a focal point for the global LNG industry. Going by the latest reports, the LNG sector is looking at $500 million in investment just for the terminals (assuming each costs $125 million). Trafigura along with PGPC is developing its second LNG terminal at Port Qasim, which will operate entirely in the private sector without recourse to Pakistan’s sovereign guarantees, the local partner of the international trading giant says on its website. According to Bloomberg, Exxon Mobil and Energas have also planned to build an FSRU in the same vicinity. Moreover, there are reports of Vitol joining hands with Total to set up its own FSRU in the same area to grab a slice of the LNG pie – as per the government estimates, set to expand fivefold to 30 million tonnes annually by 2025. Based on various reports, Islamabad has entered into some inter-government agreements and is negotiating with various gas companies to become partners. Currently, Pakistan has only one such agreement with Qatar for supply of eight million tons of LNG to be delivered by Shell, ENI, and Gunvor. 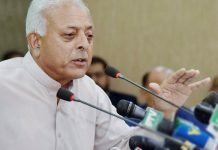 The government’s ambitious plans can be attributed to its election manifesto, which promised to rid the country of load-shedding. At the fag end of its term, beset with issues emerging from accountability, the cost of failure could be steep – impacting their fate in the general elections scheduled for later this year. With a focus on Punjab, the incumbent’s political bastion that produces only 3% of the country’s indigenous gas, the government has set up three gas-fired power plants in Bhikki, Haveli Bahadur Shah and Baloki that have a combined capacity of producing 3600 Megawatt. These high-efficiency gas-fired power plants are the major buyer of RLNG at the moment with a demand of 540 million cubic feet per day or 45% of the country’s RLNG supply. As per the new policy, the government will shut more furnace oil (FO)-based power plants and move to gas-fired projects, thus spurring further growth in LNG consumption. Switching away from FO-based plants that operate on 38% efficiency to RLNG-fired power plants that operate on 62% efficiency translates to an annual efficiency gain of $1.6 billion, said Piracha, highlighting the rationale behind this shift in the policy. “It’s a very substantial gain,” he adds. The efficiency gains resulting from switching to RLNG-based power generation sound impressive, but that doesn’t appear to be the case at the moment. The three power projects have not been able to generate electricity as per their installed capacity due to technical issues, according to a Profit report. These plants were supposed to operate at full capacity by December 2017, but they are still in the test phase and going through teething problems. “The scheduled imports have been disrupted because of reduced offtake of RLNG by Sui Northern Gas Pipelines Limited. As a result, penalties, demurrages, and LDs are being triggered,” says the report, adding, these are costing the LNG terminal of PGPC $150,000 per day in penalties because it is operating at only 40% of its capacity. When it comes to the energy sector, the poor management and inefficiencies of successive governments are no secret. However, some analysts are even skeptical of the government’s ambitious LNG import estimates. 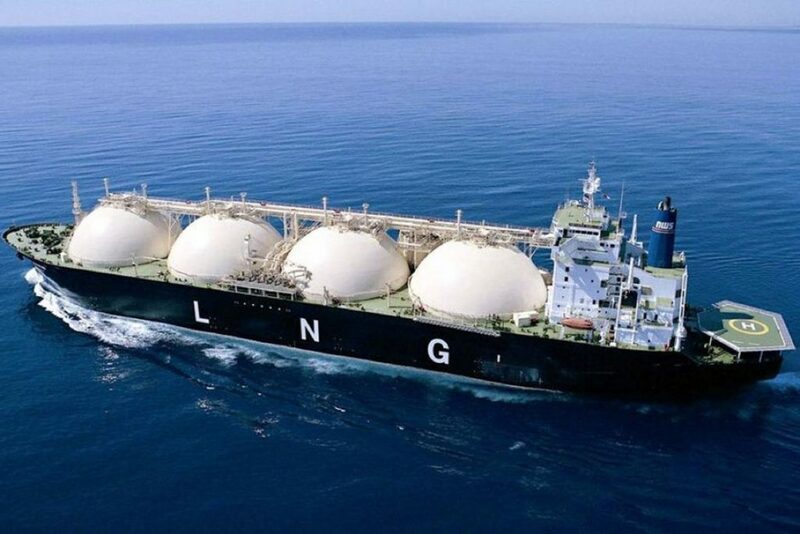 For example, energy research and consultancy firm Wood Mackenzie says, Pakistan could boost its LNG imports to only 10 million tons per annum by the early 2020s. This certainly merits a question: is the government too ambitious and buying more gas than what is required? “Even if we have a big excess, that will be for a year or two then the demand shoots,” said Piracha, adding, the country needs new power plants constantly because the economy is growing between 5% and 6%. Explaining, the CEO said, in a country of 200 million where young people are joining the workforce, appliances like ACs, microwave ovens etc. would be needed. “The demand is growing and we have to increase our power generation every year,” he added. According to Piracha, Pakistan’s current natural gas demand is 6 billion cubic feet per day while supply accounts for 4 bcfd, which comes from is Pakistan’s domestic sources and 1.2 bcfd comes from the two terminals that handle imported LNG. “You are sitting on 5.2 bcfd. 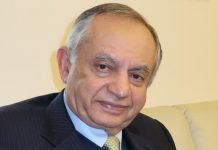 Even presently, you are short by 800 mcfd and this will keep increasing every year because new gas connections have to be issued, the new industry is also being set up and population is growing,” said he, adding, there will be a very big demand-supply gap again. The government’s main focus is power generation, with a heavy focus on coal, this being a cheaper source of producing energy compared to LNG, but the chief of Engro’s LNG terminal went on to clarify they were looking at a much bigger market, and not just the power sector. “LNG can be put to multiple uses. From domestic kitchen users, to the textile mills producing steam, or fertilizer companies as raw material, to CNG sector as fuel for automobiles, LNG has much wider usage than coal,” added he, explaining the rationale behind a merchant terminal. By doing away with the government, the RLNG companies can find takers in the industrial sector – especially textile and fertilizers, the latter the largest consumer of gas in the country. Since both Fatima Group and Engro have their own fertilizer plants that require natural gas as a major raw material, stand to gain more in from this merchant terminal where they are partners since it will reduce their dependence on the government-owned gas distribution companies. “There is a big demand for gas in Pakistan. We are used to gas for the last 30 years, not using it only for power generation, but multiple uses,” said Piracha, in particular referring to domestic consumers firing their stoves, geysers and heaters and a nationwide network of Compressed Natural Gas filling stations – boasting the region’s largest natural gas-fueled vehicle fleet after China and Iran. If one looks at the market size and potential for growth, one can certainly understand the optimism of companies jumping on the LNG bandwagon, but a merchant terminal alone may not be enough to cash in on the opportunity. The companies that are setting up their terminals in the port city will still need the infrastructure to ship the gas far and wide – especially to destinations up-north, in Punjab and KP. According to Pakistan LNG Policy 2011, these companies will have access to the government’s transmission network, but the existing SSGPL and SNGPL infrastructure is not big enough to cater to the capacity new terminals would add to the grid. Storage is a major challenge in this business since the gas has to be consumed as transported or the terminal operator may face problems. PGP is a case in point, for it is operating at less than half its capacity, courtesy the newly installed 3600 MW power plants that have yet to operate at full capacity. But Piracha is confident the government will help address that issue through timely completion of LNG III, a Rs175 billion pipeline connecting Karachi with Lahore and capable of handling 1.2 bcfd. Previous articleWhy should Suzuki improve models, if people continue to patronise?